Borax is 100% natural mineral from the earth. Once removed from the ground it is washed, dried, and boxed for consumers. Borax is the common name for sodium tetraborate: a naturally occurring substance produced by the perpetual evaporation of seasonal lakes. 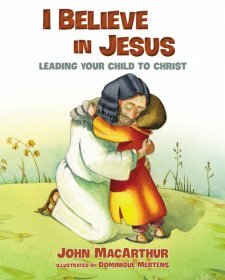 Absolutely nothing is added. No phosphates, chlorine, or other additive chemicals. Borax naturally softens hard water, which protects your detergent, so it can maximize cleaning power. Simply add 1/2 cup of Borax to every load, along with your Purex detergent. Once you start using Borax you will notice it will naturally softens hard water and improves detergents cleaning power and help keep stains from being re-deposited back onto clothes. Thank you Borax for providing me a free sample of their product so I could review them. However, all the opinions expressed here are my own. 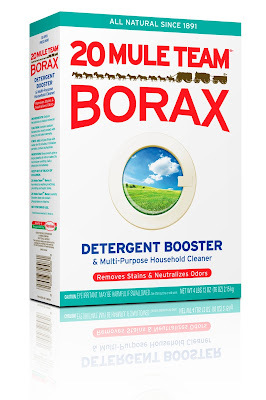 I have never used Borax before but after using it on the last 10 or so loads of laundry I LOVE LOVE LOVE IT! I think it really is helping my clothes feel softer! I have also used it to clean my sinks and it worked fantastic. 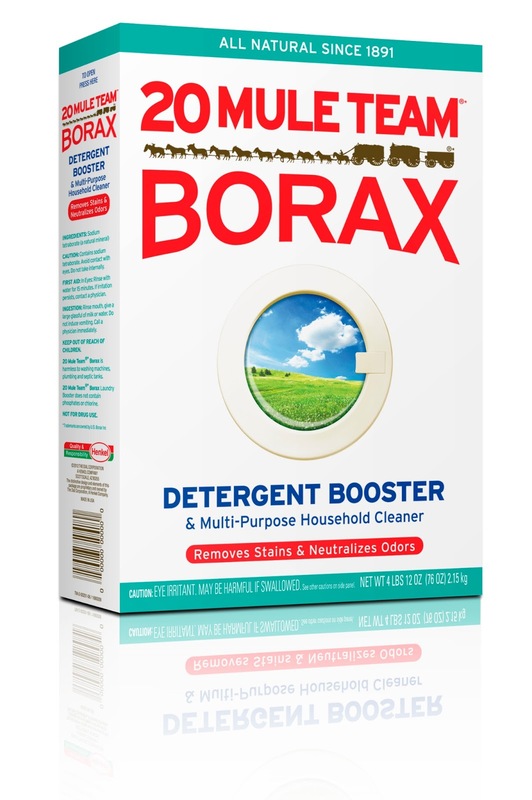 Borax may be a great laundry booster but it is also a great product to clean around the house. I have not had to try to remove a stain in the last couple weeks but I am eager to test the Borax with my next stain. Who wants to win a coupon for a free box of Borax? Enter the giveaway using the rafflecopter form below. Every week is a laundry fiasco at our house. I think that we do 20 loads a week! My husband loves to leave pens in his pocket and once I had to throw away an entire load of office clothes after trying various ways of getting out the ink stain that got all over the wash. We have had to replace cell phones twice and various usb cards and jump drives over the years. I do check his pockets before putting items in but the locations vary and hence I miss these things. I have sent crayons through the laundry before which is not very nice! We recently bought a washer and dryer. That was stressful. 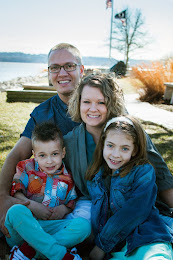 I entered the Dr. lucy's giveaway. Our dryer broke last winter. We only went about 10 days without one, but you would have thought we went a year without one with the amount of laundry that piled up!